Joe Hark is a drunk, a live wire, and the night marshal of Pitchfork County. He just wants the monsters, including his own cursed family, to leave him alone long enough to drown his haunted memories in an ocean of whiskey. 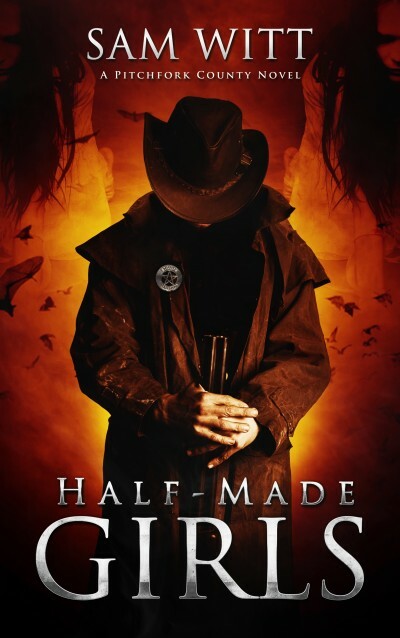 When someone hangs a mutilated girl from a cross, it's just the start of Joe's latest nightmare. As he hunts for the killer, Joe finds a nest of meth-addled cultists with roots in his own tortured past. It turns out his enemies want to call up a nightmarish god so vile, it'll eviscerate Joe, his family, and the world at large.